"Doctors who discovered cancer enzymes in vaccines all found murdered." By PolitiFact Staff on Tuesday, April 4th, 2017 at 2:00 p.m.
A fake news story tried to connect the random deaths of doctors with conspiracy theories around vaccination. Neonnettle.com posted a story headlined,"Doctors who discovered cancer enzymes in vaccines found murdered," on March 2, 2017. Facebook users flagged the story as potentially being fabricated, as part of the social media site's efforts to clear fake news from users' news feeds. The story claims that the doctors found the enzyme nagalase in vaccines, connecting nagalase to cancer, autism and diabetes. The article speculates that the doctors were murdered in order to prevent their findings from going public. Their argument is that nagalase suppresses the immune system and would therefore be bad if found in vaccines. There have been controversial studies that claim to show that the GcMAF protein, which aims at reduction of nagalase concentration in the body, could be treatment to diseases like cancer, autism, or HIV. These are all diseases where the nagalase level is supposed to be high. That theory lacks scientific evidence, though. The British government has warned against the purchase of GcMAF, since it is not licensed and its production does not adhere to production standards. Scientific journals where those theories were published have retracted them, because they are not proven. Healthnutnews.com identified five doctors it said were connected to the nagalase discovery. But we found little evidence that the deaths of doctors are were connected to the vaccine controversy. Dr. Bruce Hedendal, a 67-year-old doctor in Florida, was found dead in his car in June 2015. The actual cause of his death is not clear, but natural causes have been cited by Florida local TV stations. Hedendal was a chiropractor, and there are no reports that he was involved in challenging the pharma industry in any way. Another doctor from Florida, Dr. Theresa Ann Sievers, 46, was found murdered in her Florida home in 2015. An investigation found that her husband Mark had hired two men, Curtis Wayne Wright Jr. and Jimmy Rodgers, to kill her so he could collect insurance money. Again, her death was not connected to the pharmaceutical industry. In a follow-up article, healthnutnews.com broadened the theory to include two additional doctors. Dr. Jeffrey Whiteside, 63, went missing after a fight with his wife and was found dead. His death was ruled a suicide. Dr. Patrick Fitzpatrick,a 74-year-old retired eyedoctor, went missing while hiking in Montana. The police searched but never found him. A officer of the Gallatin County Sheriff’s office told the Bismarck Tribune that Fitzpatrick may have suffered from occasional confusion, due to his advanced age. He also said that they had no reason to believe criminal activity was involved in this case. The only person who was actually involved in the vaccination debate was Dr. Jeff Bradstreet, 61. He became controversial for his claim that vaccines could cause autism, a theory that has been refuted by several studies. Bradstreet treated his autism patients with the GcMAF protein, which the FDA does not recognize as treatment for autism. According to the Rutherford County, N.C.. Sheriff’s Office, his wounds appear to be self-inflicted. He was not murdered. But his death in 2015 gave way to a wave of conspiracy theories. While the article says these doctors died in connection with promoting theories about vaccines, only Bradstreet’s case even comes close. And even that is a stretch. As for sourcing, neonnettle.com refers to thebigriddle.com, which posted the exact story a year ago. Thebigriddle.com cites conspiracyclub.co as its source, a site that doesn’t exist anymore. The article puts forward a conspiracy theory that is based on the actual deaths of American doctors, but there is no information that they worked together on vaccine discoveries, nor were their deaths connected. The conclusions in the article are pure speculation. UPDATE Feb. 12, 2019: Neonnettle said it deleted the post. 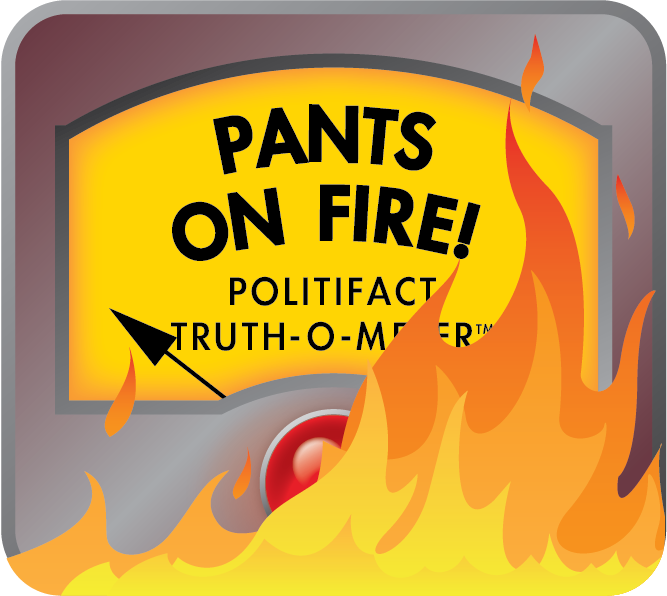 We've updated this fact-check to reflect that new information and have changed the headline. Published: Tuesday, April 4th, 2017 at 2:00 p.m.